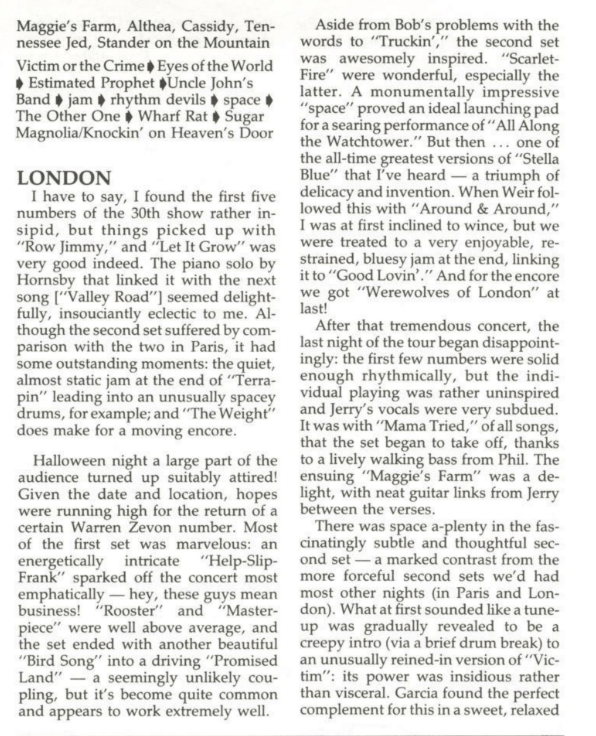 On Halloween Night in London Town, the Werewolves of London came back again. 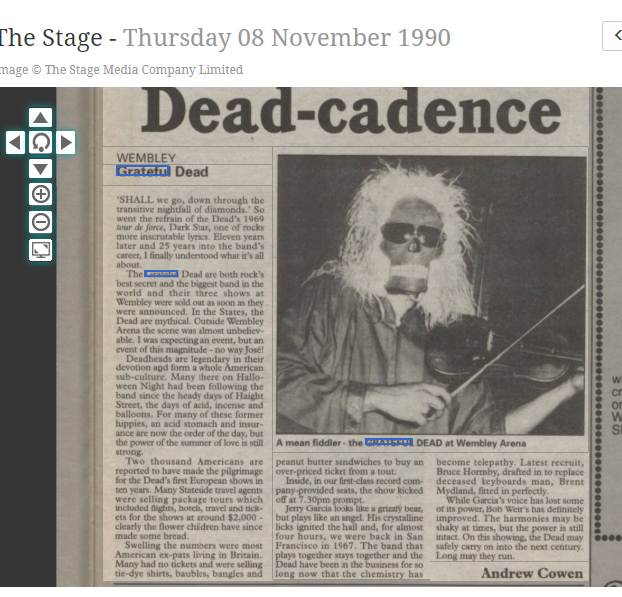 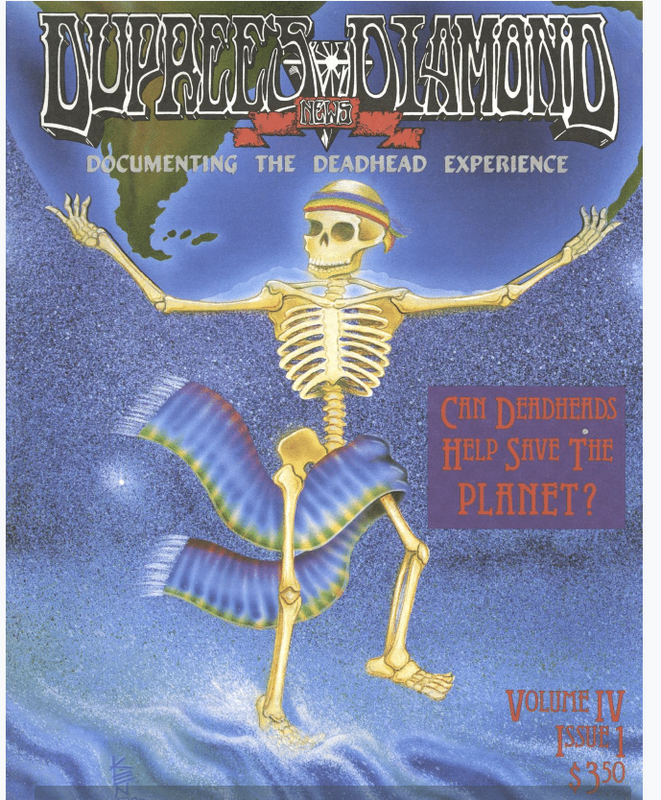 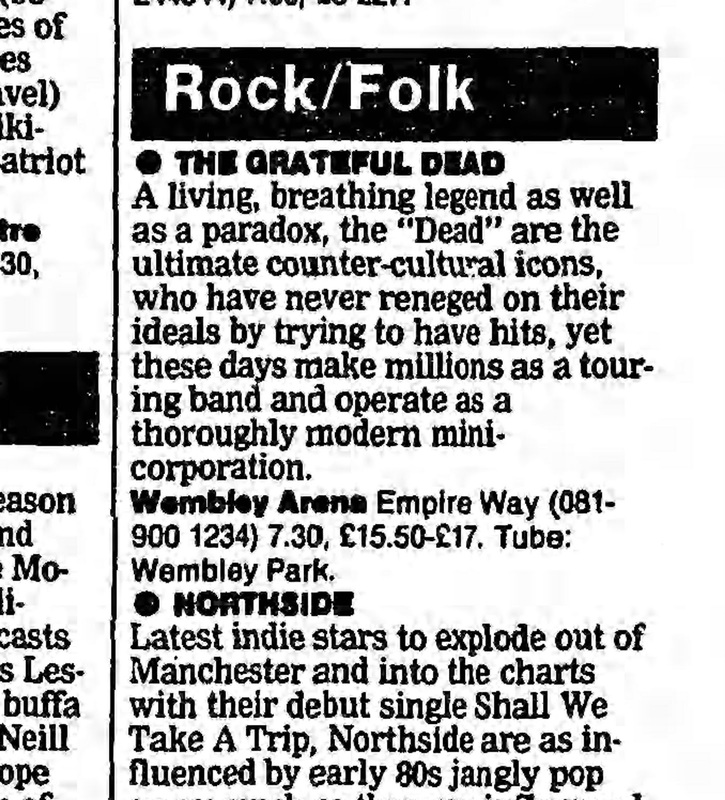 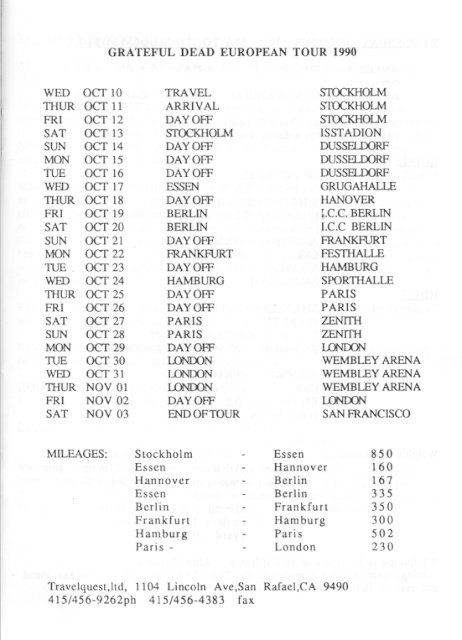 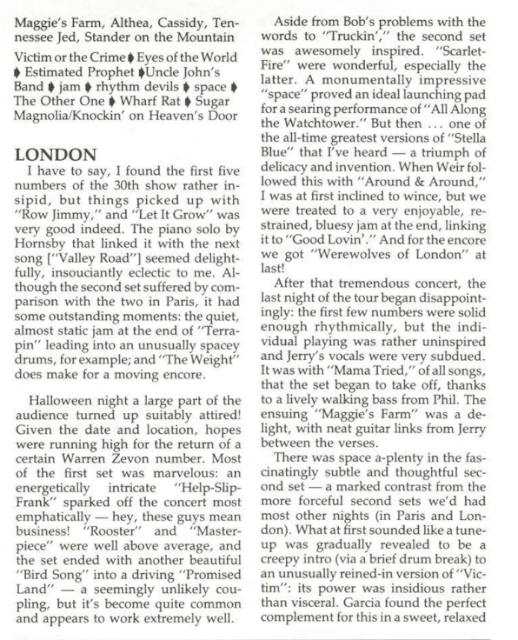 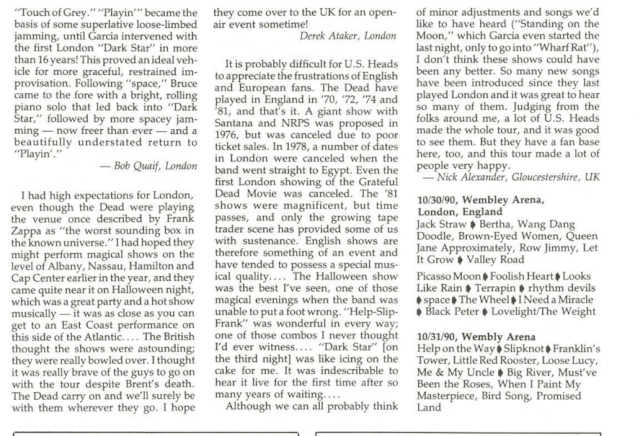 It was 1990, Ice Ice Baby was about to top the British charts, The Cure and Public Enemy were on the cover of New Music Express , but the Grateful Dead came back to England on Halloween, one night away from ending their three week European tour. This was a mere three months after the death of Brent Mydland, but the band kept playing on. 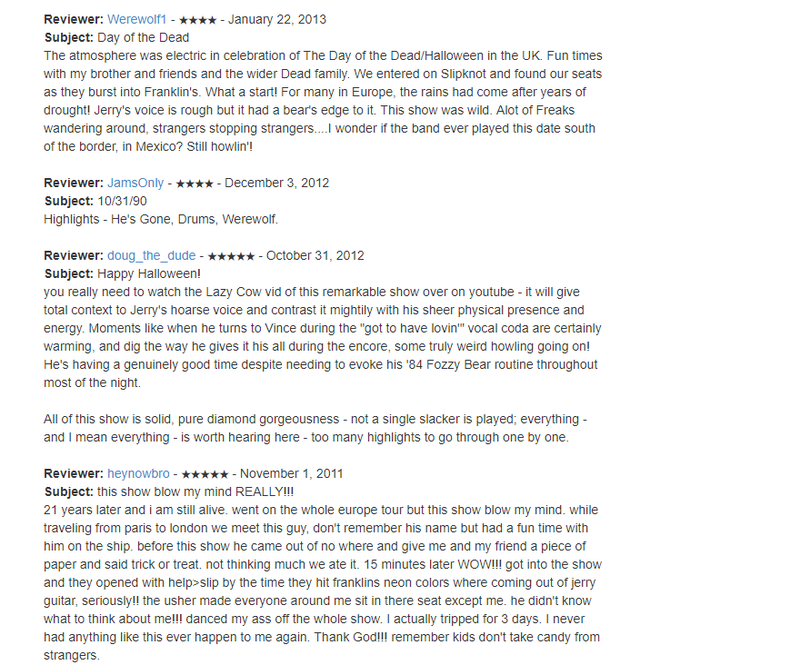 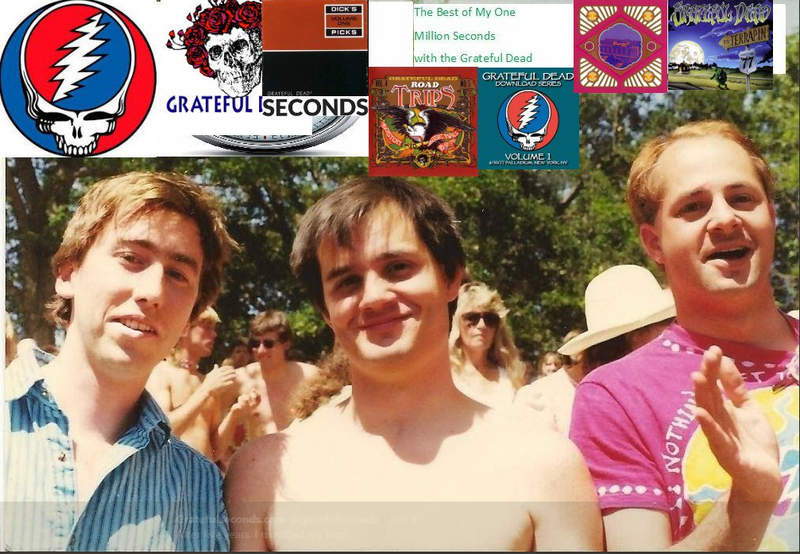 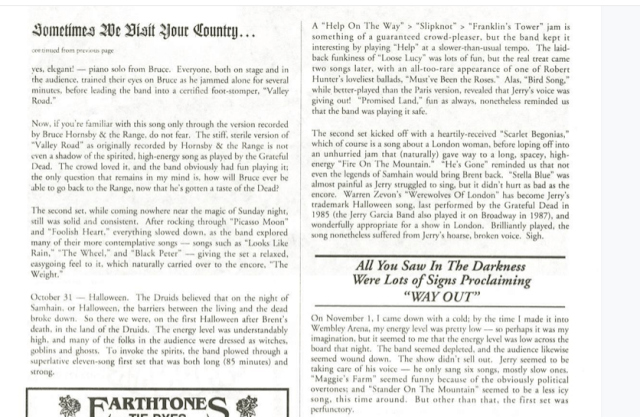 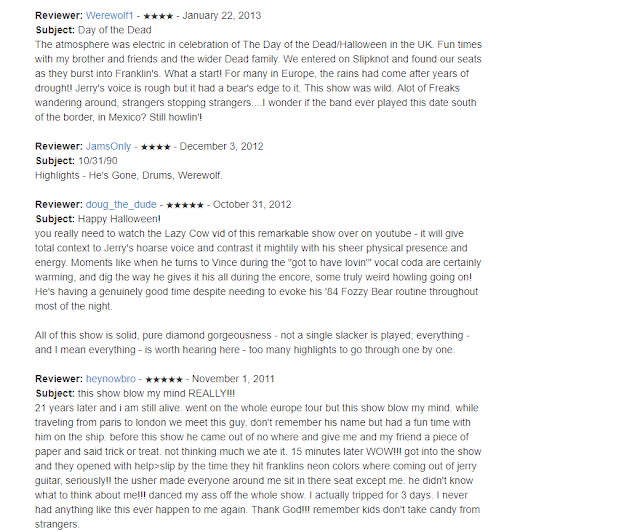 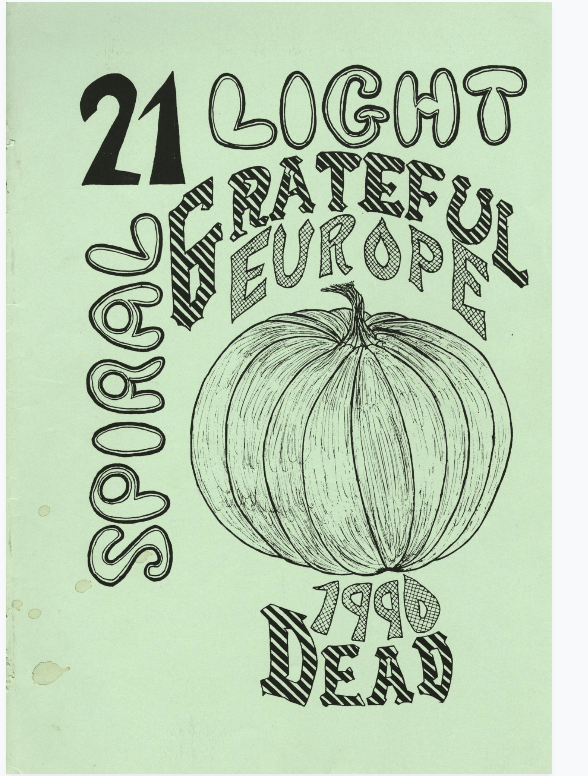 they would save Dark Star for the next (final) night but they started hot here with Help on the Way>Slipknot>Franklin's Tower, Bird Song, Scarlet>Fire, and encored with Werewolves, which was a special Halloween treat http://www.gratefulseconds.com/2015/10/one-more-halloween-night-dead-shows-on.html, the 11th of 12 versions, and the second of three on 10/31 (1985, 1990 and 1991). 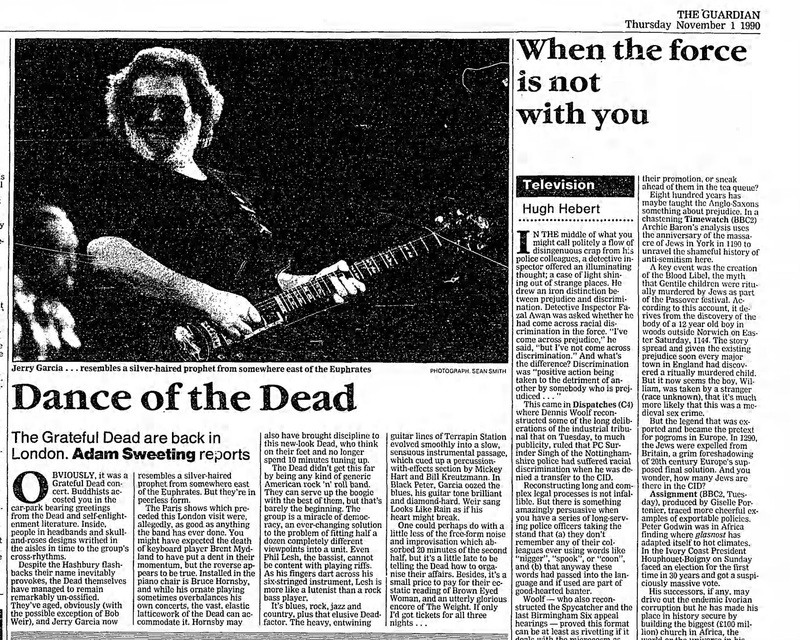 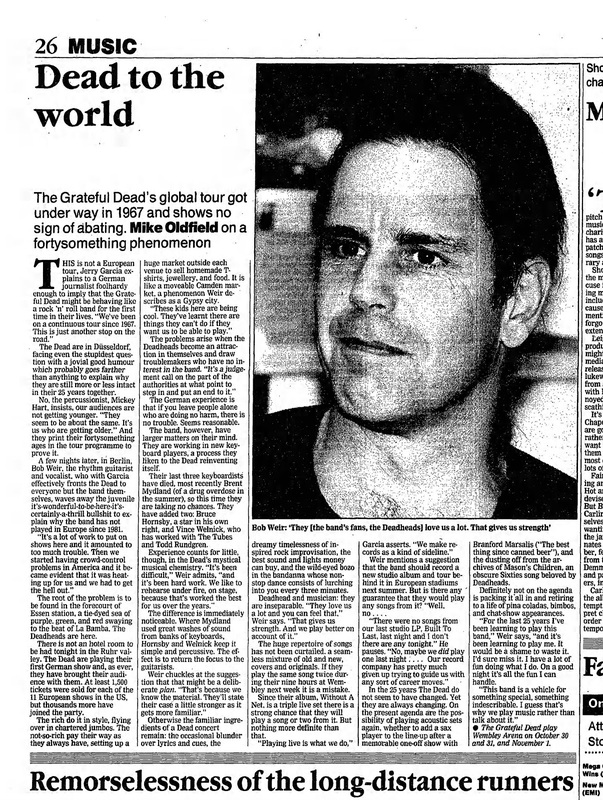 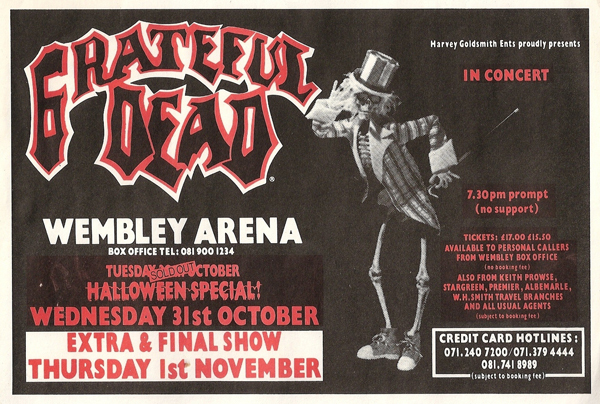 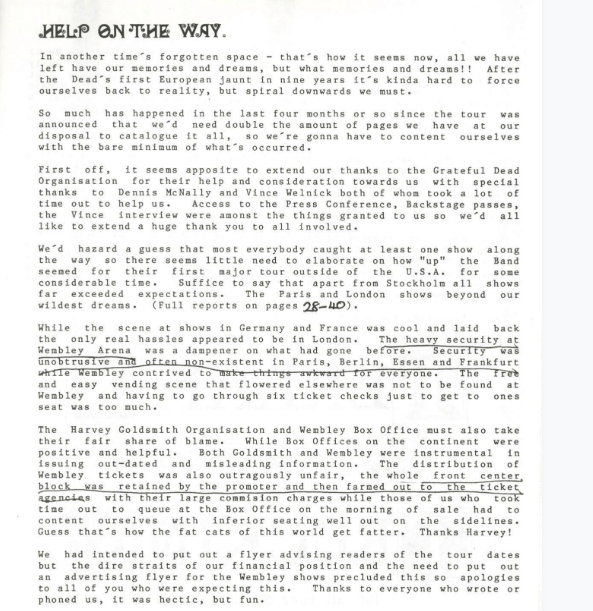 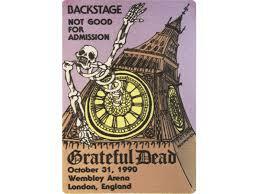 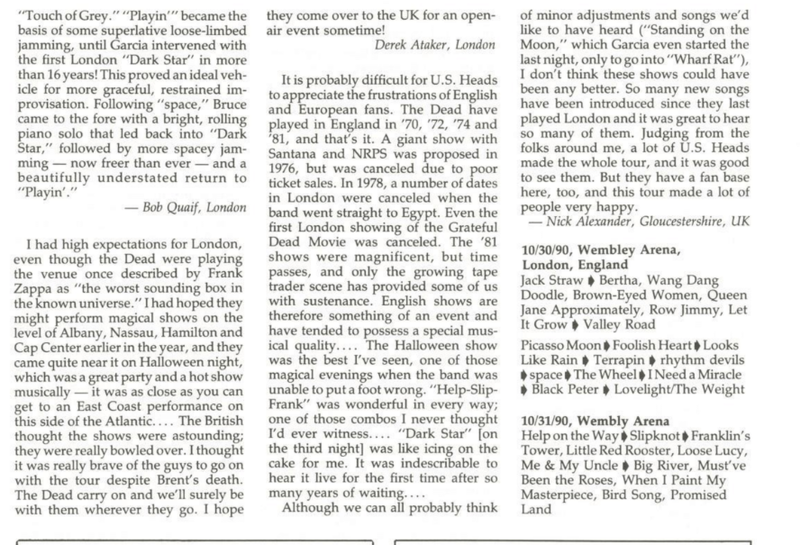 This was also the penultimate and 20th of 21 times the Grateful Dead played in London.